Greeley, CO is located less than 50 miles northeast of Denver (Colorado State Capital). The town was founded on agriculture and farming, but kept up with modern technology. By 1883, telephones were in numerous places and electric lights could be seen in downtown by 1886. By 1910, automobiles shared the road with horse and buggies. In addition, the municipal airport was built in 1928. The town officially became of city, in April of 1886, and was named after the editor of the New York Tribune – Horace Greeley. 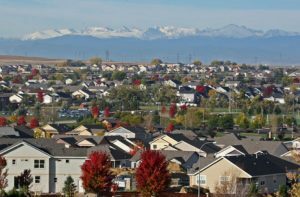 According to the 2015 census report, there are 100,885 people currently living in the 12th most popular city in Colorado, compared to the 2010 census, which indicated that 92,888 people resided in Greeley, CO. Residents of Greeley can expect the climate to be semi-arid. High temperatures reach into the 90’s during summer months, and in the coldest month (January) temperatures average in the 40’s. Freezing rain and sleet are non-existent in Greeley, but hail storms are expected in the farmlands about 8 days a year. The museum is located at: 680 10th Street in Greeley, CO, and it is fun for all! This facility is one-of-a kind, and features more than 600 artifacts related to the railroad. The main feature is the 5,500 square foot model railroad display. Staff is available to share in your excitement and to answer any questions you may have. This amazing family-friendly attraction is a must see. This Performing Arts Center one of the largest venues in Colorado. It was built in 1988, by private donations, as well as public funding. 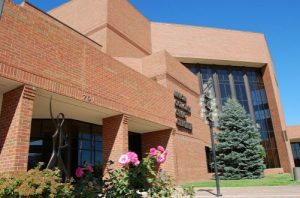 There are two venues, the Monfort Concert Hall, which seats 1,686, and the Hensel Phelps Theater, which seats 214 guests. Between the two venues, there are more than 100 events annually. Events vary from concerts, comedy shows, Broadway musicals, as well as several local productions. The Center is located at: 701 10th Avenue in Greeley. For more information on upcoming shows, please call, 1-970-356-5000. 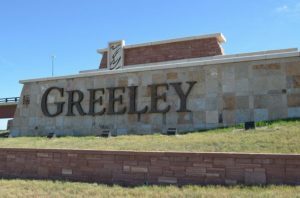 Outdoor recreation is not in short supply in Greeley, with over 20 locations and more than 200 acres of parks in the area. For instance, in Pheasant Park, you can enjoy a game of kickball or enjoy a picnic at the Archilbeque Park. There are soccer fields at Monfort Park, and playgrounds at the Island Grove Regional Park. There is also the Poudre River Trail Park, Glenmere Park, Bittersweet Park, Sanborn Park, and Lincoln Park (just to name a few). There are plenty of evening activities to take advantage of, including a unique twist for movie goers to enjoy, at the Kress Cinema and Lounge. There is also the Key Largo Lounge, where you will find dart boards, pool tables, live music, and dancing. Additionally, the Mad Cow is a restaurant where you can get great food at a reasonable price, and Patrick’s Irish Pub is a great place to stop into after dinner, for Belgian ale or a local brew on tap.